Boca Raton Regional Hospital is now hiring qualified nurses and technicians as we continue to expand our facilities. Being the regional leader in healthcare delivery requires an unrelenting dedication to delivering the highest quality patient care. At Boca Raton Regional Hospital, the desire to be the hospital of choice for patients, physicians, employees and volunteers comes from within each of our team members. Boca Raton Regional Hospital is proud to be listed as one of "150 Top Places to Work in Healthcare" by Becker's Hospital Review. Our mission is a reflection of who we are. Boca Raton Regional Hospital delivers the highest quality patient care with unrelenting attention to clinical excellence, patient satisfaction and patient safety. Our team of professionals demonstrates unparalleled compassion and commitment to those we serve. One Team. One Mission. Many Opportunities. Not Sure Where You Fit Best? We believe that everything we do together matters. Having the right attitude means keeping our mission a priority. With our patients and fellow team members in mind, our effort and dedication bring great results. To work as one, for the benefit of patients and the hospital, our team members must have mutual understanding. With that as our goal, we practice open, direct communication and active listening. United by our mission, our team members work for each other. You won’t need to ask for help. It’s expected. To exceed our patients’ expectations and match the high standards set by our mission, we do more than just deliver care. We show through our words and actions that we’re grateful we’re the hospital of choice for patients and employees alike. To achieve our goal of being the preeminent regional leader in healthcare delivery, we combine compassion with a professional conduct. Welcoming new employees, while respecting patients and each other, is a critical part of the culture at Boca Raton Regional Hospital. Safety is everyone’s job. We’re one team, caring for fellow professionals and patients alike. At Boca Raton Regional Hospital, we prioritize safety by being proactive and attentive. Attaining our professional goals and achieving the mission of the hospital depend on our commitment. 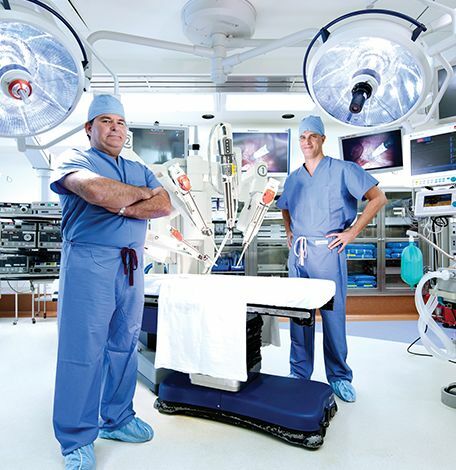 Here at Boca Raton Regional Hospital, you will find team members whose passion is matched only by their expertise. If you have a similar positive, helpful attitude, you will be a valuable addition to our team. At Boca Raton Regional Hospital, our community-related activities allow you to get involved and make a difference. At work, you’ll find amenities that make your day more enjoyable. Through recognition programs and events, we grow together. As One Team, committed to fulfilling our One Mission, we stand by each other. You’ll discover a culture where there’s no need to ask for help. It’s already on its way. Unparalleled teamwork empowers us to provide exceptional care. We go way beyond insurance and simple wellness. Body, Mind, Life, Family, Finances, Retirement, Education, Advancement, Recognition and so much more. It might take a while to go through all of what we offer, but we hope you do. It really is an amazing and unique program, and just part of the way we show just how much we care about you. Boca Raton Regional Hospital is committed to providing physical activity and wellness opportunities for our employees. We are Fit-Friendly Company in 2011, 2012, 2013, 2014 and 2015. Many programs including a comprehensive graduate nurse and returning nurse program, along with community education courses. Courses for non-clinical staff in communication, conflict resolution, and customer service training. Programs, resources, and courses that go beyond traditional skills training and help you develop the tools and strategies to lead. Partnerships with local and national universities that include tuition reimbursement programs, internship opportunities, and scholarships. Courses are both classroom and online, CEUs and lectures open to staff and our community. Boca Raton Regional Hospital provides equal employment opportunities to all employees and applicants for employment without regard to race, color, religion, gender, sexual orientation, gender identity, national origin, age, disability, veteran status, genetic information or any other category protected by federal, state, or local law.